In 1994, two national home infusion companies with Tulsa branches merged. As a result of that merger pharmacist, Linda Jenson and nurse, Pati Richardson met for the first time. Over the following four years, many changes occurred in the home infusion market including additional mergers, management changes and implementation of cost containment measures. While Pati had been caring for cystic fibrosis patients since 1983, Linda's involvement with cystic fibrosis grew rapidly beginning with the 1994 merger, as did Linda's and Pati's friendship. Eventually, upper management of the different infusion companies was frequently heard to proclaim that "this CF business isn't very profitable" followed by proposed variations in care between the well-insured and un-insured or under-insured patients. When the last infusion company for which Linda & Pati worked, ended their cystic fibrosis program (and Pati's job) Linda called Pati and said, "We can do this ourselves!" Within two months, Linda & Pati met with numerous small business advisors who told them that they didn't have enough money and would never succeed. Being typical women, they ignored the naysayers and proceeded with their plans. Linda took out a second mortgage on her home, they rented a space, completed the build out, licensed the pharmacy and incorporated CF Solutions, Inc. in December of 1997. 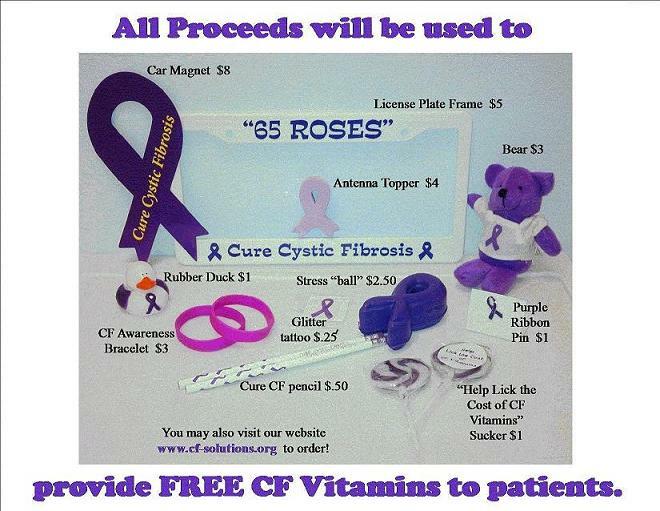 CF Solutions opened for business on January 5, 1998 to begin providing state-of-the-art pharmacy and nursing services to Oklahoma cystic fibrosis patients regardless of their ability to pay. The business grew quickly requiring the expansion of the initial office and addition of a pulmonary rehab center. 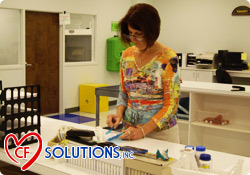 When that space became over crowded, CF Solutions purchased the building where their current operation is located. There are currently over 300 cystic fibrosis patients in Oklahoma who use CF Solutions' services and as they say, "The rest is history!"